← Who Sinned This Man or His Parents? John 9 Part 3 Understanding the Spiritual Heart of Man! (Ver 1.2) This is now Part 11 in the series of advanced Bible lessons on the subject of the Bride of Christ Revealed. In my last lesson in this series we came full circle back to the New Jerusalem and today I want to address this bride city in more depth. This will probably be the last lesson in this series on this subject for now. Today’s lesson will cover the city of New Jerusalem mentioned in Revelation 21 as the Bride of the Lamb and how she is representative of the church. This city has long been a point of controversy since she is described symblically and these symbols can potentally be interpreted to mean many things. However if we use the Bible to interpret the Bible we will only come up with one true identity that she can be. We have really covered a tremendous amount of new information found in the Bible in this series. If you have not read the first 10 parts of this series I would strongly recommend that you go back and start reading with Part 1. I have already given you a lot of scriptures and references that the woman in Revelation 21 appears to represent the church. But we have certainly not exhausted the scriptures on this subject and probably would not be able to if we tried. The Bible is much more complex than what people see on the surface of the text. So let’s go through some more of the scriptures in this blog and see if we can find other confirming verses of the identity of the New Jerusalem. Let’s look at some other scripture that I’ve heard does reflect the identity of the bride. In fact it is almost impossible to ignore since it directly reflects this title. It is very interesting to note that God finds it necessary to create a new heaven and a new earth. There is an implied problem with the old heaven and the old earth. Why buy a new car if your old car is still in great shape and useful. Why create a new family or a new covenant if the old is in such good relations. There lies the problem that God had and the solution that He has implemented with the establishment of a new heaven and new earth. If is also noteworthy that this verse says the “first” and not just the “old”. That actually tells us there were none others before this first heaven and earth. But yet it does tells us that there will be a second. Revelation gives us significant additional information that I think we should take a look at now in some depth. If the church is the bride and Jesus is the bridegroom, then God is also calling the church the “new Jerusalem” the new covenant city of God. I’ve heard some say that here in these scriptures it proves that the “new Jerusalem” is the bride and not the church. If this is true this doesn’t make a lot of sense to me. I’ll put it to you this way why couldn’t the church be both? In fact if you look at scriptures accurately I believe you will find out that the church is both. Someone said that we are the body of Christ and therefore, if Christ has a bride we have a bride. You know based upon scripture that I’ve shown you that this is not true. We have been called the body of Christ, but we are never called the Lamb. I don’t know of any scripture that says we are the Lamb of God and here in Revelation Jesus is referred to as the Lamb more than once. I’ve given several scriptures that demonstrate how the church became the body of Christ and that was clearly by a marriage covenant. So we have already established that the church is the bride of Christ, but now we need to further confirm that the church is also the New Jerusalem. In Biblical days a city was usually a walled dwelling place where all the human people of a common nation lived. The reason for building a wall was for safety to keep enemies from stealing from them and killing them. This city is said to have 4 walls as if a square or a rectangular structure. Each of the 4 walls has 3 gates. Each Gate has an angel. It still appears that God is guarding the way in an out of this city. But all of these can also be taken symbolically. If we are talking about a symbolic city with symbolic gates, symbolic walls and symbolic foundations we really have a lot more to learn. I believe we make a mistake if we think of this spiritual city in terms that it is a physical place. These scriptures are an amazing parallel to the description of the city found in Revelation 21 called the New Jerusalem. We see the mention of many of the key qualities of a large city with stones, foundations, windows, gates and borders. We also see the mention of key stone types meaning they are valuable, precious and rare. These key elements describe a city for sure in verses 11 and 12 of Isaiah 54. However, did you notice the reference found in verse 13? It speaks of this city as a woman with children. Isn’t that an interesting commentary. I tell you when you see what the Bible is describing as a woman you begin to see a lot more clearly the things that are symbolized in the Word of God. We again see in Isaiah that a city represents a woman and not just any woman in our case it is called the bride of the Lamb in Revelation 21:9. A woman has children and that is one of the primary reasons for marriage. There are so many good things within these scriptures in Revelations, but I saw a definite significance of the number 12 mentioned, did you notice that too? It is not an accident that there were 12 tribes in the nation of Israel for this was a type and a shadow of the spiritual Israel to come. It is no accident that Jesus choose 12 Apostles and the book of Revelations informs us that their names are written on the 12 foundations of this new city Jerusalem. If the names of the 12 apostles are written on the foundation doesn’t that describe the church? Who started the church if it wasn’t Jesus breathing on the apostles (John 20:22) I don’t know who it was. We also see the reference of 12 angels and of the 12 tribes of Israel so the new Jerusalem is comprised I believe of, at the least a part of all three of these groups. So if we get right down to it, I don’t think that the Gentile Church is the entire city, only a big part of it. Hopefully you will understand this more as the Word of God is revealed further. Let’s look at just one part of this new city and see the part that the church plays. Once you finally realize that this woman represents a covenant marriage relationship, then you can easily associate the role of the church to this woman. Here is a good time to remind you of what we read earlier when God said my wife “Jerusalem” committed adultery (Ezekiel 16:32). Who did God call his female wife? The earthly city Jerusalem was referred to as “her”. This physical city is in no doubt a foreshadowing of the new Jerusalem the spiritual city that we just read about. The reference to a city is the a reference to the people within the city who were in covenant with God, Yes? The people living in the earthly city Jerusalem were in covenant and married to God. God calls all of these people by a name of Jerusalem and says she is my wife. This was the Old Covenant people or the earthly nation of Israel. So, who is in the New Covenant with Jesus Christ? It is those people in covenant or marriage with Jesus that are the residents of this new Jerusalem. The distinct parallels between these two cities are very numerous and cannot be ignored, unless you just want to remain ignorant. Here is a most significant scripture with great revelation. The implied reference is that of a building. But buildings are many times built within cities. It says God will live in them and walk in them. That sounds like a really big house or a city to me. If you live in Dallas Texas, and wanted to go for a walk, where would you be walking? But this is not a physical building or temple, for God in the same context speaks of this temple in the terms of people. In other words the temple is built with people. People are the spiritual building blocks that make up this structure. Do you understand that concept? Here is another scripture that says we are the dwelling place of the living God right here and right now. There is a clear implication of a building or a house or even a city within both of these verses. After all what does it mean to “dwell”? When it says God dwells in us what does that mean to you? If I said I dwell in Dallas Texas what does that mean? It specifies the location of my home. If I said I dwell in a big white house on Jones Rd. What does that tell you? It describes a building or house that I live in and helps give you the location of that house. I don’t know how we can be the bride and the temple and the city and the body of Christ and all of these things at the same time, but I believe we are. This is a very interesting pair of scriptures and I believe they give us some light on the subject of the temple of God. These scriptures say that Peter was dwelling in a tabernacle. This is not talking about a physical house or a building made by the hands of man. In fact he is not talking about any kind of physical building at all with walls, doors and windows. No, it is speaking of his body that he and God dwells in. God has showed him that he was soon to die and leave his body and go and be with the Lord. The tabernacle represents a temporary dwelling place. The Greek word translated “tabernacle” comes from another root word that contains the meaning of a “tent”. A tent represents a temporary dwelling place and we know that if Jesus doesn’t come we will all die. However, when we are raised from the dead and given a new glorified body then we will have a permanent dwelling place for God. These are very powerful scriptures and teach us many of the things that I’ve been attempting to convey. They speak of our current mortal bodies as a temporary home and even calls them an earthly tabernacle or tent. What is an earthly tabernacle? It has to be a tabernacle made of earth or dust as it says in Genesis that God formed the body of man from the dust of the ground. But it also gives us the hope of a new house that was not built with man’s hands, but it will come from God and will be immortal. So we see a pattern from the Old Testament where Moses established a temporary tabernacle for God made of tents. Then came Solomon and he built the permanent tabernacle. These are types and shadows of what Jesus has done and is doing. Don’t you know that you are the temple of God? What does that now mean to you? That means to me that each and every one that is born again represents a living stone in a new temple dwelling place for the True Living God. I know the natural earthly Jerusalem contained the temple of God as one of its key components. So at the minimum the temple of God is within the new Jerusalem and to say it is not the entire city would be difficult in my perspective. So if we are this new temple then we are at minimum a major or significant part of the new Jerusalem referred to in Revelation. I included these scriptures as a contrast to what I was talking about previously. For they contain more building and architectural terms, but the reference is given in much different context. We see a foundation which is clearly Jesus Christ. Then there are references to other builders that continue to reveal the word of God. So does these scriptures contradict the others or complement them to give a different perspective or view. I say they only complement. I’ve spent a lot of time and effort showing multiple scriptures that at the minimum shows the church is a significant part of the new Jerusalem, if not the entire city. I don’t feel like I’ve exhausted the subject but I feel I’ve given enough scriptural evidence to justify the claim. So now I want to stir up a different point of view and look at some other scripture that seems to indicate to me that the church is this woman mentioned in Revelation 21. I think the similarities and parallels between the scriptures in Revelation describing the bride as a city to other scriptures that are written directly to the church in the epistles are so amazingly related that they complement each other. They simply give a different perspective of the same thing. God simply uses symbolism that we can grasp hold of and shows us some natural things to help us to understand these spiritual realities. In this verse in Romans 1:7 that is written to the church, we are called saints of God. I’m not sure if I’ve ever heard anyone besides the church ever referred to as saints. Have you? Then I noticed something very interesting in this verse, God calls the church “His beloved”. I don’t know if you noticed this or not, but this is a term used some 27 times in the Song of Solomon. The beloved is often times used in conjunction with a direct reference to his bride. Is this a coincidence or a clue to God’s purpose and plan? I believe it is a valuable clue to see. The church is this beloved, God so loved the world that He gave His only begotten Son…”. To love someone that much to give yourself for them is an incredibly unselfish act. I don’t know how you can read this verse and not see clearly that Jesus is speaking to the church. Jesus is telling the church some very specific things. These specific details confirm in other words what we read in Revelation 19 and 21 about the New Jerusalem. Again the city is referred to as the city of God and it comes from above. But the name of this city will be written on or given to them that have overcome. Who is it that has overcome? What city name was it that was to be written on them? Of course Jesus says that to those who overcome, He will write the name of the New Jerusalem upon them. Jesus also said these same people will be living stones or pillars in the temple of God. 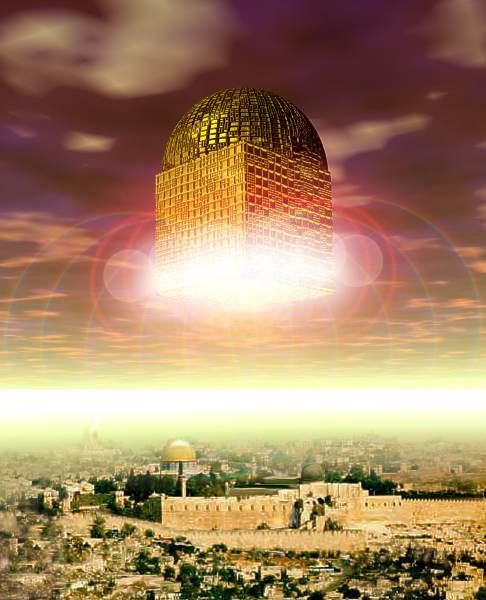 This confirms that the spiritual temple of God and the spiritual city New Jerusalem are one in the same thing. These are totally complementary views of the exact same spiritual structure. If you can see it you will understand some very powerful spiritual truths. Then there is the whole name changing operation that takes place at a marriage between a husband and the wife. The wife traditionally always takes the name of the husband and isn’t this what this verse is saying? The church is taking the name “New Jerusalem” and becoming the wife of the Lamb. This is all New Covenant language and spiritual truths that have been overlooked by many. I hope you have enjoyed this lesson the identity of bride of Christ. I know I did not cover everything that I could have, but hopefully I gave you some new things to think about and study. Posted on February 22, 2010, in The Church and tagged Bible, Bride, Christianity, Church, Covenants, God, marriage, Prophecy, Religion, Revelation, Truth, understanding, woman. Bookmark the permalink. 9 Comments. I AM SO BLESSED BY YOUR LESSONS, THEY JUST DROP RIGHT INTO MY SPIRIT, AS I READ I PRAY TO GOD THAT I REMEMBER EVERY THING THAT IS BEING TAUGHT. PLEASE TELL ME AS WELL WHO IS THE CHILD THE BRIDE IS CARRYING IN REVELATION. IS IT ALL THE BORN AGAIN SAINTS? I HAVE ALSO HEARD THAT THE PIECING OF THE SIDE OF JESUS DURING HIS CRUCIFICATION SYMBOLISES THE BIRTH OF THE CHURCH , IS THIS TRUE? I am SO blessed to have found this eye-opening site!!! I look forward to reading this ENTIRE series, and others too. Agapegeek, you Rock!!! Please share this site and whatever you learn with everyone you know. Be Blessed in Christ Jesus and filled with Spirit of Almighty God! Your comprehension of how prophecy will be fulfilled on multiple levels is encouraging . So I also wonder about your thoughts on the woman who’s about to give birth , and who you think the child is. I can say conclusively that it is not Mary giving birth to Jesus because this is supposed to be a prophecy about something which will happen in the FUTURE (“come up here and I will show you what must come hereafter”) and Jesus had been born 93 years before the Book of Revelation was written. If you would permit me, I will answer this question by email. I would also love to know if you would please e-mail me a response on the child given birth to in Revelations.